Parry Bellflower at Hopewell Lake, Rio Arriba Co., NM, 130725. 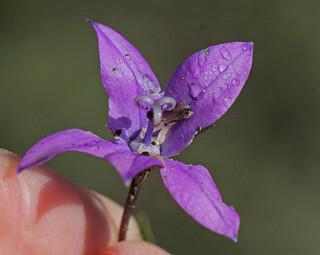 Campanula parryi. Asterids: Asterales: Campanulaceae. AKA Parry Harbell.